Before jetting to Italy to film another action-packed season for the American hit drama Quantico, the show's lead actress, former Miss World and Bollywood star, Priyanka Chopra holidayed with friends (and her dog Diana) at a stunning 4-bedroom, 4-bathroom, TripAdvisor Rentals villa in Beverly Hills. Between a hit TV show and flourishing Hollywood career, the award-winning actress, producer, philanthropist, recording artist and one of Bollywood's biggest stars never stops, so the centrally-located yet secluded villa was ideal. The modern home, one of hundreds of thousands of TripAdvisor Rentals listed around the world, has a sleek, modern interior, and a stunning private pool tucked away in the hills. 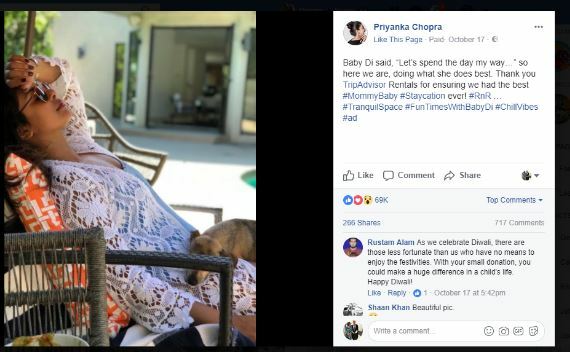 Priyanka spoke of her luxury stay in Beverly Hills saying: "This was the ideal staycation for Diana and me. The house was right in the heart of everything, yet secluded enough to feel like we were on our own little island. “Needless to say, the pool was the center of all activity, while the rest of the house was so comforting and relaxing. The only hard part was leaving!" 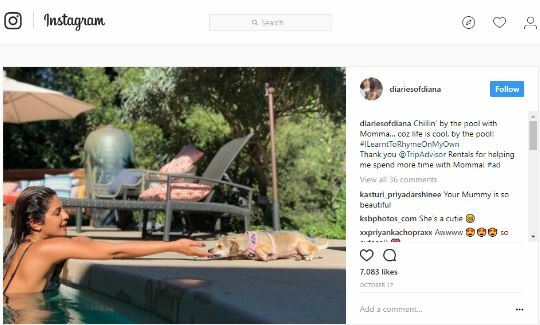 Chopra shared her luxurious relaxing stay on social media, taking to Instagram and Facebook to share with her fans (and Diana’s) of her stay.